Looking for responsible AdWords PPC managers? AdWords pay-per-click is our passion and we know it inside and out. We work tirelessly everyday to deliver the results our clients have come to expect. How can AdWords pay-per-click services increase sales? Expert AdWords PPC management is one of the most cost-effective and productive forms of advertisement. Our pay-per-click managers know how to create winning campaigns that cost you less. Want better results from your PPC marketing? If you're not getting the results you want from AdWords pay-per-click, we can create a customized PPC solution guaranteed to deliver the results you expect from SEM. Need an outside AdWords PPC agency you can trust? We understand the common misconceptions many business owners have about hiring an outside agency to manage their AdWords PPC account. We maintain a positive reputation with our clients, offering round the clock service and expert Google AdWords management services. An effective AdWords pay-per-click campaign includes expert keyword research. We choose the most relevant keywords for your specific business. Successful AdWords PPC ads increase clicks and conversions. We know how to attract the attention of your target audience with keyword-rich ads. Conversion tracking is an essential metric for measuring the success of an AdWords pay-per-click campaign. Our SEM experts analyze these reports regularly to maintain the performance of your campaigns. Landing pages should be optimized with keywords that are relevant and connected to your ads. Our pay-per-click agency makes sure you have cohesive AdWords PPC campaigns. We offer a complete suite of AdWords PPC marketing services. If you have a search engine marketing team and need a pay-per-click consultant, contact our agency today. Our pay-per-click agency focuses on expert AdWords PPC management services designed to increase your ROI. Mastering the AdWords PPC program can take many years. Leave the management of your AdWords pay-per-click account to our experts, who have combined experience of over 40 years managing Google AdWords accounts. Our team members have extensive experience in PPC advertising, and have the skills and tools necessary to guarantee a high performing AdWords PPC account. First, we meet with you to learn everything there is to know about your particular business. We then create a pay-per-click strategy customized to your specific company, conducting thorough keyword research to identify the terms that will attract your target audience. Next, we create and organize your Google AdWords account in a way that makes sense for effective management and organization. Then, we create great, keyword-rich ads and optimized landing pages to make sure your campaigns are cohesive and successful. We offer a full suite of expert PPC services so you have no need for an in-house SEM team. Save on the costs of a team of employees when you outsource your online marketing needs to our reputable professionals. 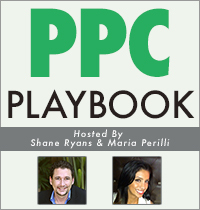 Contact PPC Professionals today by calling (954) 606-5359.